What are you going to do with all that shine? Flaunt it of course! 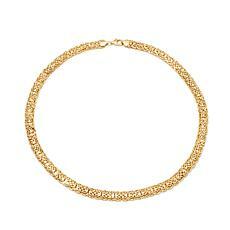 Lovely gold Byzantine links are polished to an eye-catching gleam in this elegant necklace. Fourteen karats of fabulous, and they're all yours.